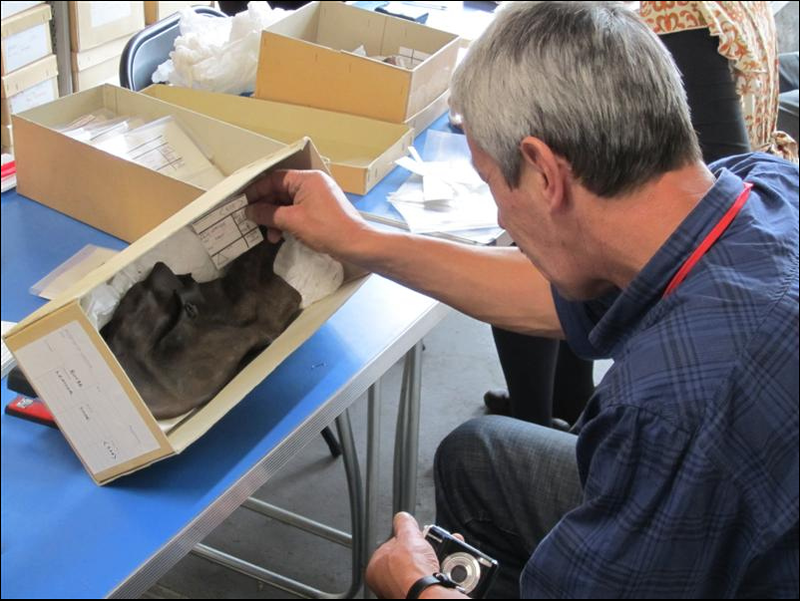 In this photo, an individual in the Volunteer Inclusion Project at the London Archaeological Archive and Research Centre prepares to take a picture of a medieval shoe. The leather shoe is a dark brown color. From this angle, the shoe appears to have a leather toggle that would have kept the shoe closed while worn. 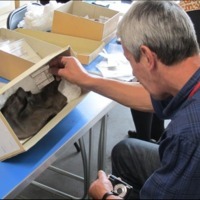 An employee or volunteer at the London Archaeological Archive and Research Centre, “A Shoe under Inspection by a Museum of London Volunteer,” Medieval London, accessed April 22, 2019, http://medievallondon.ace.fordham.edu/items/show/89.